1. She opened the book at page one. Hello? I am really appreciate to find your website. Your lesson is very helpful for me. I am studying Chinese my-self from elementary level. I’ve begun to learn from 1st lesson, write and memorize each characters everyday. Thanks for your great job. Good luck to you! Glad to hear that you found my website helpful. 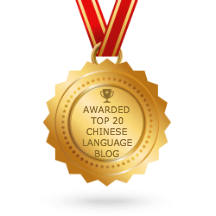 If you just started to learn Chinese, remember to learn download my Pinyin ebook to learn about Chinese pronunciation.